Interested in an unusual new virtual prepared piano with a wide range of tonal possibilities? Una Corda from Native Instruments in collaboration with Galaxy Instruments is a one of a kind sample library for Kontakt that is based on the sound of a custom made piano with a unique design that uses felt and cotton preparations and has only one single string per key. 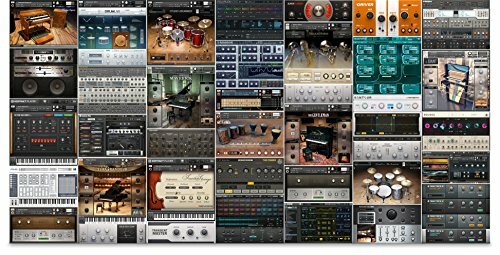 Una Corda is a 10 GB library for Kontakt that has 3 .nki instruments with 100 Snapshots. Uli Baronowsky and Galaxy Instruments captured the intimate sounds and minute details of the physical instrument to provide a stunning virtual version in ultimate resolution. In collaboration with Native Instruments, Uli and Galaxy Instruments have previously created THE GIANT, THE DEFINITIVE PIANO COLLECTION, and RISE & HIT. Transform the sound by accessing unique noise and sound design elements. Dial up the noise from fabric preparations, mechanical elements, pedals, and the room to enhance realism or create something entirely new. Incorporate hiss, compression, and saturation from vintage outboard gear to generate anything from dry, gritty textures to liquid pads and swirling effects.